Super short workouts can be very effective for building strength and cardio endurance. 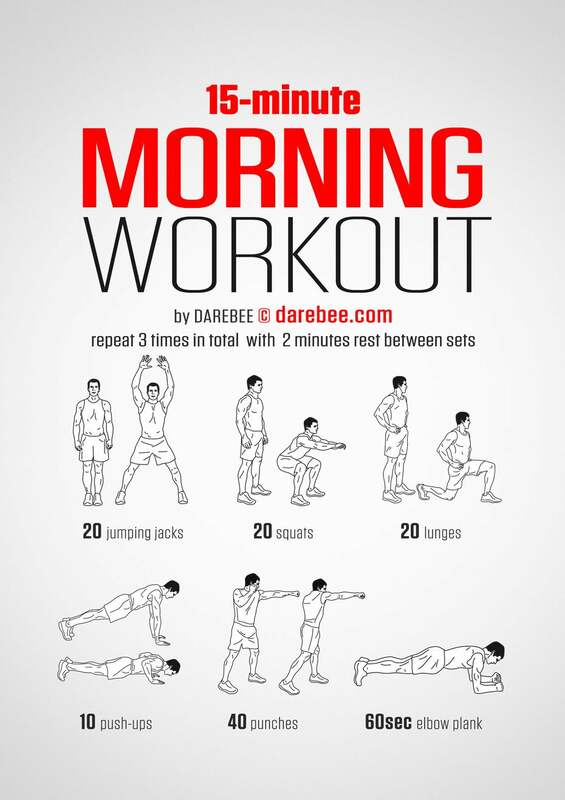 This time-efficient bodyweight workout from DAREBEE doesn't require equipment and is perfect for doing in the morning, whether you're at home, in a hotel or an empty meeting room. It may just be 15 short minutes, but the key is to make the workout hard by getting through each of these exercises as quickly as you can, with minimal rest. Take two minutes of rest between each set, but as you get fitter, try decreasing your rest time to 30 seconds between each set. If you want to make the workout longer, simply add more sets.